With a little extra geometry you can control your sub-d model a little more. Here is a really nice trick I just learned. 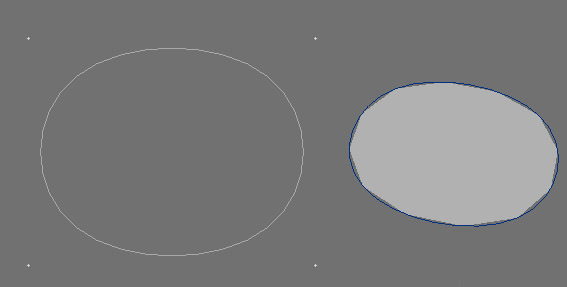 To follow this tutorial you should have some basic knowledge of how to select polygons and points. Everything else I will try and cover so you can understand the thinking behind the work. Start out with a polygon that has four points. When you press the [tab] key you will get a nice circle like shown in the following image. A lot of the time you'll have more than one polygon to work with so lets add a bit of geometry to make this square a little thicker. 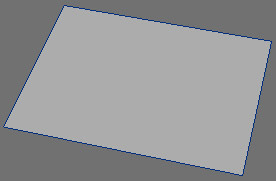 A quick way of doing this would be to use extrude but in a large model those extra polygons that get created can add up. So select all four points in a clockwise direction. Press the 'e' key (extender) and then the 't' to move. Drag these points down and notice the new polygons you have just created. Now then we have a good start on a disk. 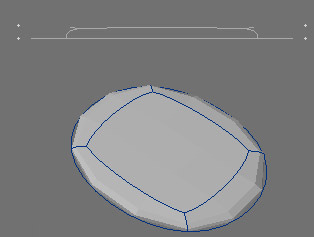 Since I want to add a little extra control to this mesh we need to use the knife tool 'k' key to make a small incision on the edge like in the figure below. If your still in subpatch mode you'll notice the top polygon in now broken. Don't worry this is expected since any polygons over five sides are not supported in normal subpatch mode, N-Gons are supported in Catmull-Clark mode. Turn off subpatch for now. Select the point that is highlighted in the image and delete it. Now then select the top polygon and press the 'k' key to kill it. Now all we need to do is rebuild two polygons in the place of that one we just killed. Select three points like in the figure. Make sure you go in a clockwise direction. Now then press the 'p' to create a three sided polygon. If you can't see the polygon that's okay. Just change your mode to polygon and hit the 'f' to flip it. Now hit tab and you should have a teardrop looking shape. To make the edge sharper select two adjoining polygons and band saw that edge. You can find Band Saw Pro under the Multiply tab. That is all you need to do in order to add a little extra geometry to a polygon and keep the sub patch model from breaking. Here is a quick video of this technique.